In today’s India, most of the urban population residing in metro cities live a sedentary lifestyle. We have good spending power which led to the establishment of so many eateries, restaurants, pubs, bars and what not. We all work during the weekdays while planning our weekends. In this day and age, we all know that we need to eat healthy, exercise daily and sleep well but we seldom do any of those things. Isn’t it easier to just call for food, take the elevators and party all night? But at least for one of the above things, there’s a solution – The Mandala Life. 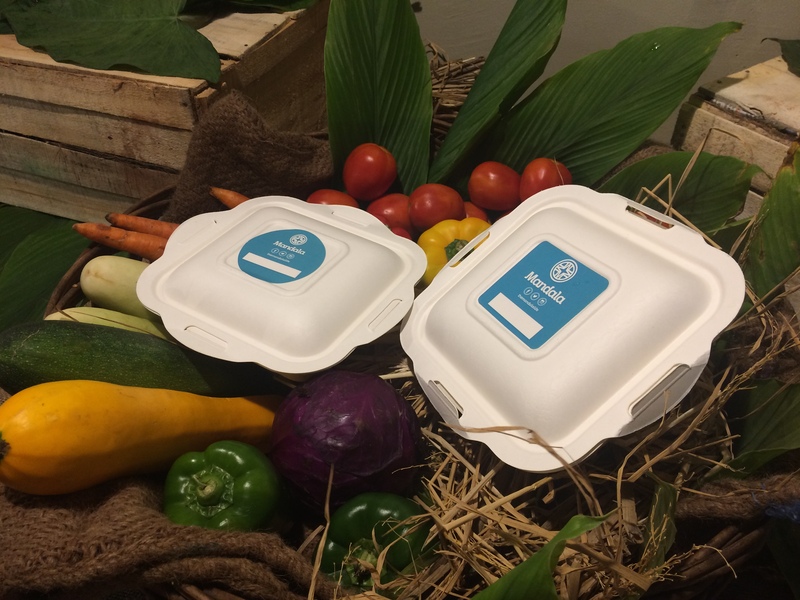 A delivery restaurant which is striving to deliver healthy, organic and delicious food. The founders of Mandala are dedicated to providing food to the urban masses which we can relish and is still healthy for our body. This dedication can be seen in the fact that they source most of their ingredients from their own farm where they grow these ingredients organically without using pesticide or other harmful chemicals. With this they are also striving to give back to the soil it’s natural toxic free fertility back. 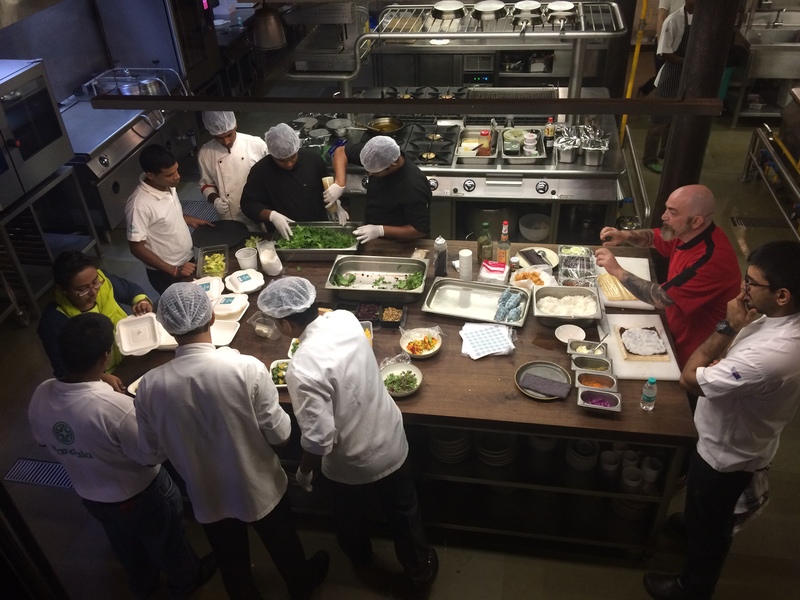 Thanks to Food Blogger Association of India, I had been invited to taste a part of Mandala’s delivery menu and to talk to the founders. Both was great. Here’s the breakdown of what I ate and what I learnt. Honey Vanilla Kefir: We started the meal with a healthy probiotic drink, Honey Vanilla Kefir. 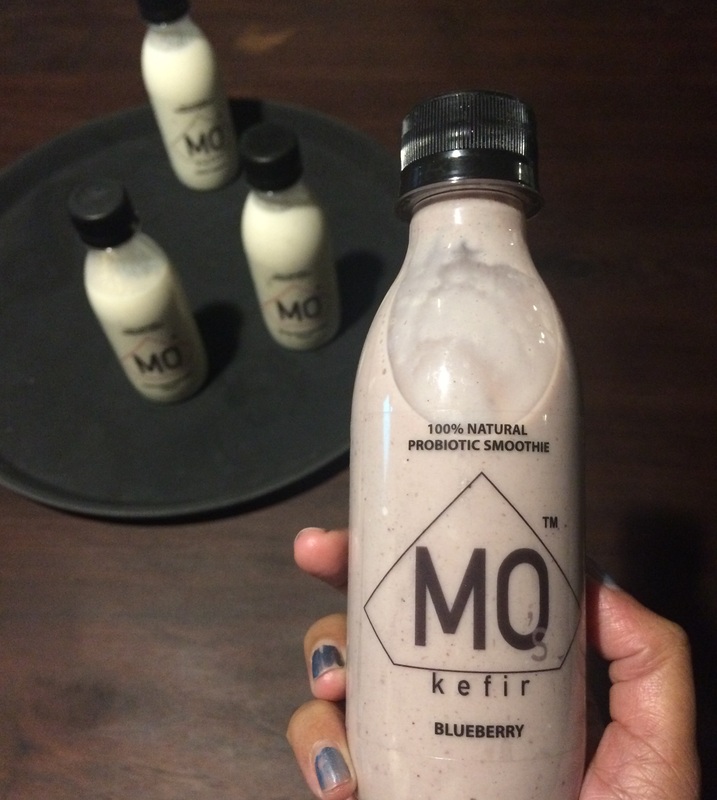 Probiotics found in the fermented dairy product, Kefir are healthy and beneficial for your gut. The vitamin and mineral properties of the honey and vanilla get enhanced on fermentation thus presenting you with a tasty, healthy drink to begin your meal. Honey Balsamic Arugula: Going the healthy direction and how a meal should be consumed we followed up the fermented drink with the Honey Balsamic Arugula salad. Made with fresh oranges, dried cranberry, feta coated with sesame, melon, sunflower seeds and roasted walnuts and dressed in honey balsamic, this salad was tasty and filling. I especially loved the balance achieved in texture and taste by mixing acidic fruits with seeds and walnuts. 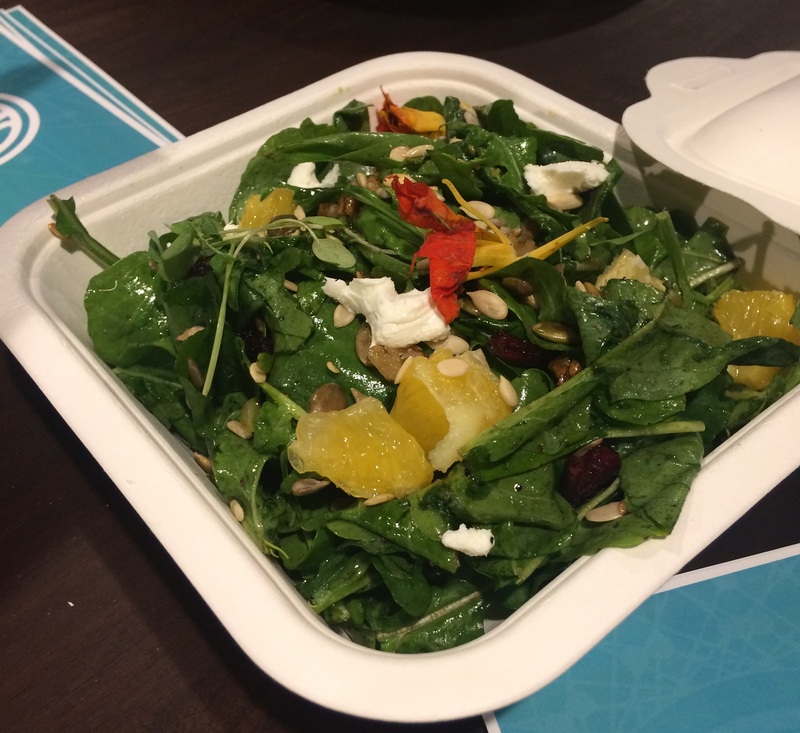 Another great part about this salad was that the honey used was collected from a natural bee-hive and thus has no unnatural pesticides and is prepared with non-synthetic products. 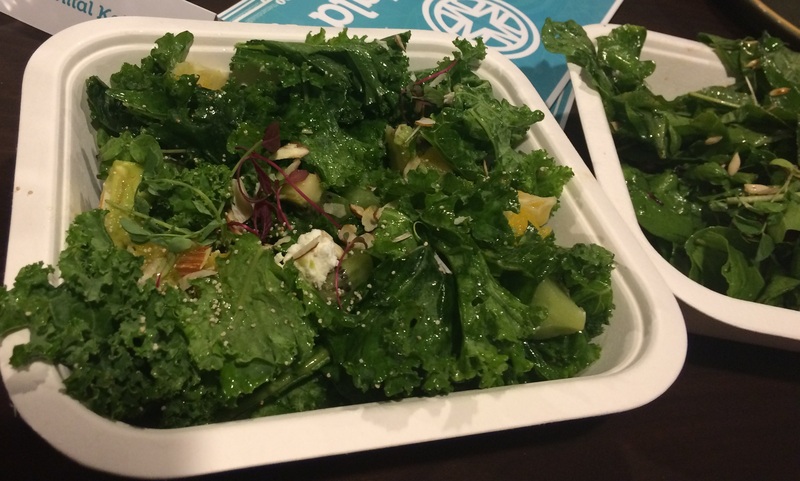 Kale, Strawberry and Avaocado Salad: Based on their #OptForOrganic mantra, Mandala believes in offering multiple great organic food options so that you run out of excuses for not eating healthy. And so we actually had 3 salads and they all were tasty, artsy and filling. The next salad that we tried was Kale, Strawberry and Avocado salad. All the items present in the name were tossed together with almonds, feta cheese and a lemon poppy seed dressing. Cooked Lentil Tabbouleh: This was made with buckwheat, one of the healthiest, nuttiest and most versatile whole grains which is completely gluten-free and unrelated to wheat. 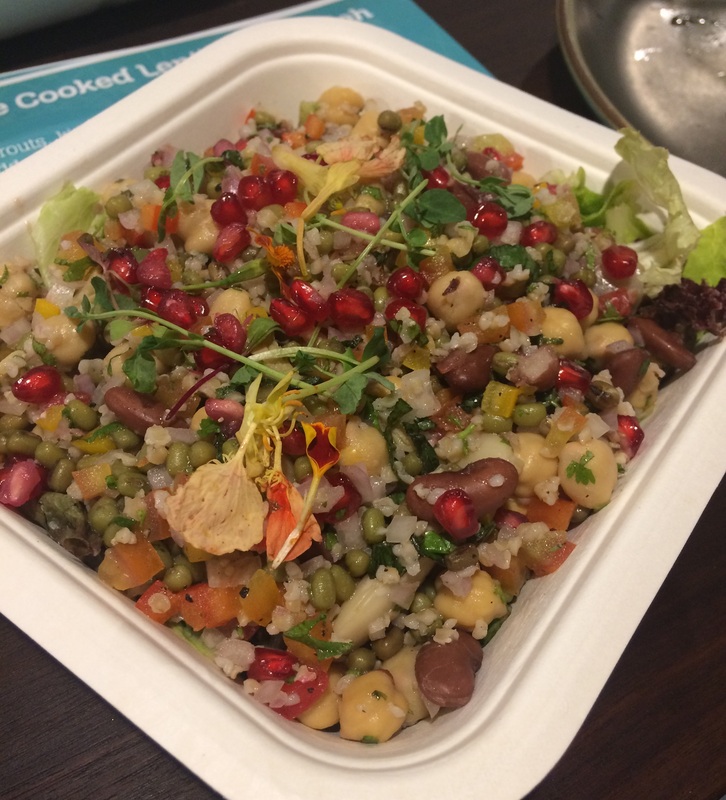 The name ‘cooked lentil’ is derived from the fact that it has cooked sprouts, kidney beans, chickpeas with chopped tomatoes, spring onions, kale, red and yellow bell pepper garnished with parsley, basil, lemon, garlic vinaigrette and extra virgin oil. I would like to describe it as a total Indian comfort food. It tastes desi and feels healthy. 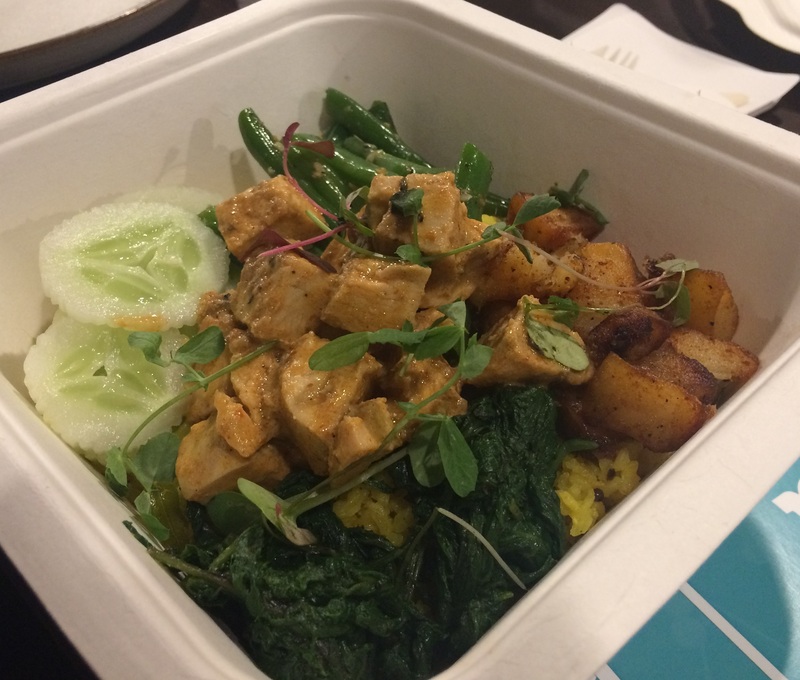 Wild Forest Bowl: This was visually as titillating as it was gastronomically pleasant. I’d never eaten black rice until this dish. 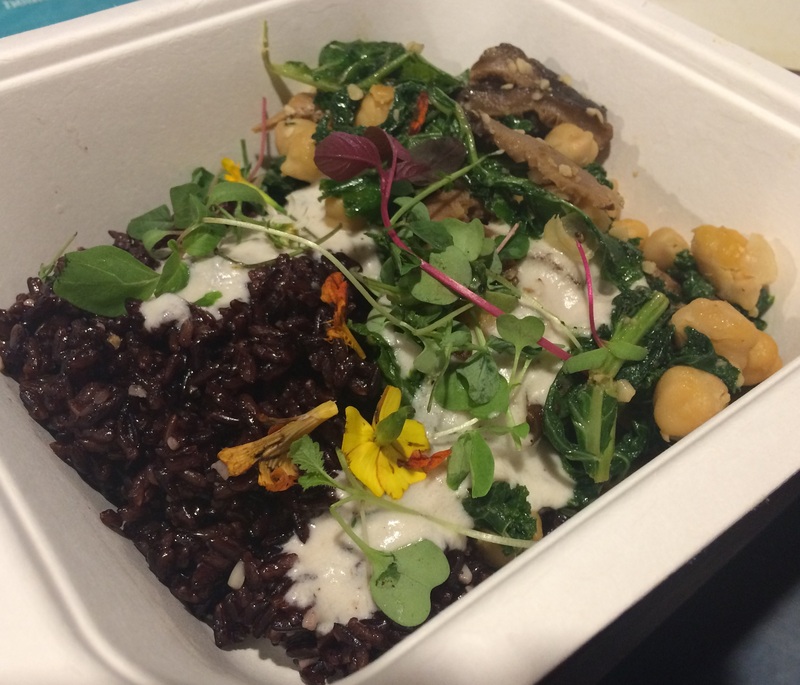 Wild Forest Bowl consists of black rice served with chickpea, shiitake, kale in coconut curry. The black rice was tasty which clubbed with the creamy tasty coconut curry went on to another level of gastronomical satisfaction. The Sri Lankan Rice: This is my absolute favourite at Mandala. Comes in two version veg (paneer) and non-veg (chicken). I tried the non-veg version and fell in love with it. This meal in itself consisted of chicken, roasted potatoes, spinach, french beans and cucumber in a Sri Lankan curry with lemon-mustard flavoured brown rice. The highlights of this dish are the curry and the brown rice. It’s a culinary treat oozing with well-balanced taste and health. Korean Bibimbap: I always wanted to eat the Korean Bibimbap and Mandala finally made that happen. This Korean delicacy was well captured and presented by Mandala in Mumbai. The traditional ingredients of a Bibimbap were all present and is offered in two variants – veg (paneer) and non-veg (shrimp). 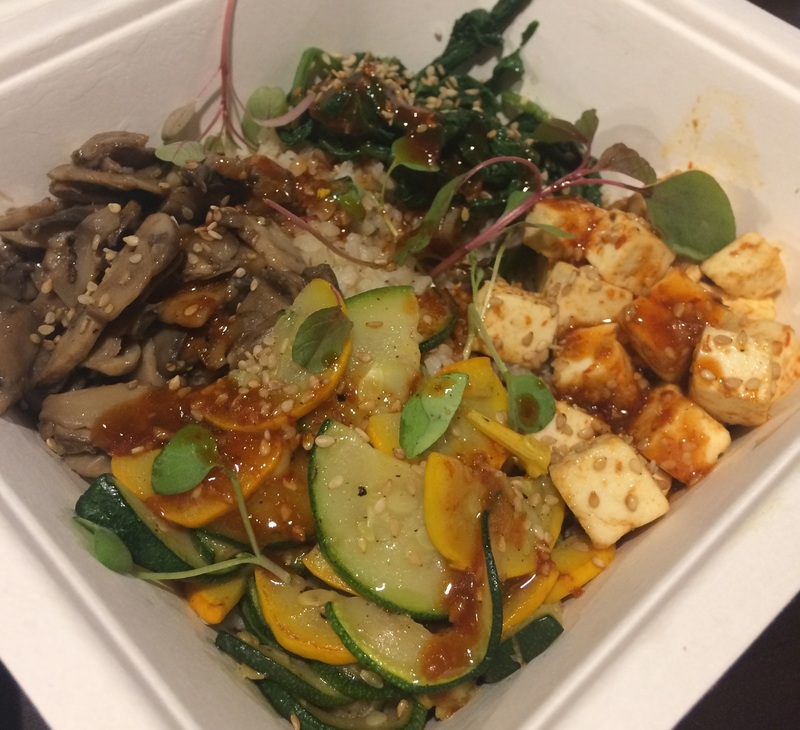 Both the options have stir fried mushrooms, bean sprouts, radish, spinach, zucchini and carrots in a Bibimbap sauce spread generously over sesame infused brown rice. This quintessential Korean meal-in-the-box is super filling and will make you crave for more even after the generous portions of Mandala meal boxes. The owner did mention other items which are his favourite such as the quinoa and semolina pasta, but we were so full we couldn’t try those… for now. But we did manage to try the desserts. My favourite out of the two we tried – The Chocolaty Walnut Brownie and Granola and Mango Parfait is the former. This flourless brownie with roasted caramelized walnuts, is gluten free. So you can enjoy this sinfully tasty dessert without feeling that you’ve committed a sin against your body. For someone who doesn’t have a sweet tooth, I did relish this dessert a lot. Overall, 8 out of the 10 items that I tried from The Mandala Life were filled with great taste and made with organic ingredients carefully selected to give our body a complete nutrition diet. I’m definitely going to order the meal boxes from Mandala. Even though their delivery radius which is right now restricted to South Bombay and Lower Parel is a problem, they’re planning to expand and hopefully soon they’ll be able to deliver in the suburbs. Till then I’m going to opt for a takeaway. If you’ve tried any items from the Mandala Life or are planning to try do let me know your views in the comment section below. Happy, healthy eating!